Mauritius is a jewel in the the Indian Ocean, a thousand miles from romantic Seychelles and the east coast of Africa. A Mauritius holiday lets you experience an island blessed with white-sand beaches caressed by the warm waters of the Indian Ocean. Mauritius has a sub-tropical climate with two distinct seasons: Summer, from November to April, sees blue skies and the best temperatures, averaging 30°C; between May and October - the Mauritian winter - temperatures are a little cooler, but still with excellent hours of daily sunshine. See our detailed information on the Mauritius climate. Although perhaps less tropical than some of its neighbours, being a relatively large island, Mauritius is more scenically diverse. Large towns contrast with dramatic mountain peaks overlooking fields of gently swaying sugar cane and forested hillsides, where deer still roam, which in turn give way to miles of sandy beaches protected by coral reefs. 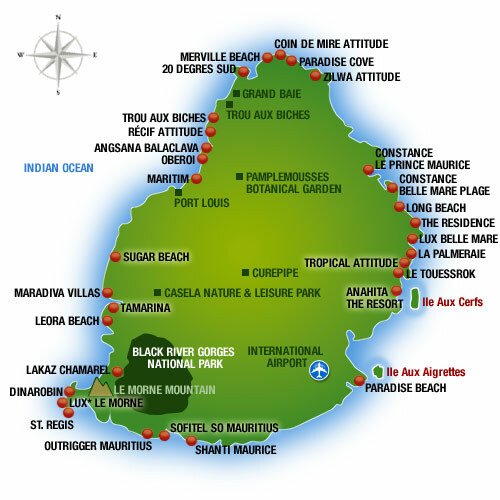 Resorts and hotels are dotted around the various coastlines - see our Mauritius map for details. The contrasts are not only scenic. The Island’s natural beauty and charm are also enriched by a cultural blend of African, Asian and European heritage. Perhaps it is this that has given rise to Mauritius being world renowned for the friendliness of its people and their willingness to ensure visitors are truly welcome. There is more to Mauritius than simply relaxing on the beach or taking part in the many sporting activities on offer. Our local agents on the island offer a variety of excursions that will let you discover the island's treasures. Take for example Ile aux Aigrettes Nature Reserve, an island in the bay of Mahebourg now managed by the Mauritius Wildlife Foundation. Here much has been done to restore and preserve near extinct birds, plants and animals. Among many others look out for the very rare Pink Pigeon or the colourful day gecko. All proceeds from your visit are reinvested in the Foundation's projects. Other excursions include colonial houses, tea plantations and factory, and even a Crocodile Park. For the more adventurous, a visit to the Casela Nature & Leisure Park is a 'must'. Here you can see numerous species of birds as well as lions and zebra; while for the more active, there are zip wires and quad-biking! A visit to the capital Port Louis is not complete without seeing the bustling local market. Follow this with a cruise along the north west coast before stopping at the famous Pamplemousses Botanical Gardens. The west coast is perhaps more developed than the east and has the capital Port Louis. This is certainly worth a short visit, in particular a trip to the fascinating market is well worth the effort. Further north from the capital, Grande Baie is a vibrant small town an caters well for the tourist market with its array of shops, restaurants and entertainment. South of Port Louis, the village of Flic en Flac is developing fast and has a good choice of restaurants and shops. Just2Mauritius tailor-makes holidays to Mauritius. As our experienced staff have visited the island as well as our featured hotels, we'll ensure you choose the right resort for your holiday. If you feel that it could be the perfect destination to celebrate your marriage, why not browse our wide variety of Mauritius honeymoon packages? Hotels can be a little isolated and outside resort complexes - particularly on the east and south coasts - restaurants are sometimes limited. Distances are greater than you think and hiring a car, though enjoyable, can be frustrating with the lack of road signs. Overall Mauritius offers high standards and represents excellent value - talk to our experienced team at Just2Mauritius for first-hand knowledge and advice.Our Mauritius holidays will allow you to experience a piece of paradise. 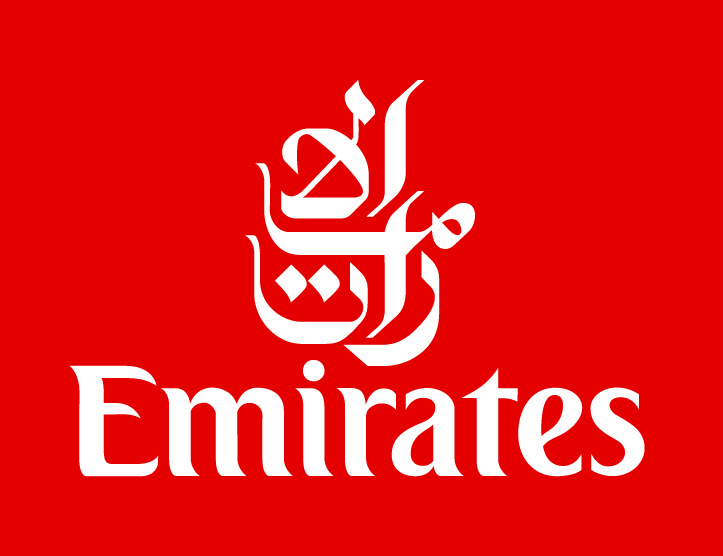 Fly with Emirates from the UK to Mauritius and you can have a few days on a Dubai Stopover on either your outbound or your inbound jourmey. We offer a range of hotels in Dubai - either close to Jumeirah Beach or downtown. See the full range of Seychelles Holidays on our sister site JustSeychelles.com. It features a comprehensive choivce of hotels and resorts to suit all budgets, as well as many Seychelles island-hopping itineraries.